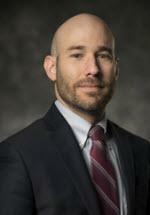 Richard A. Marrero joined Anselmi Mierzejewski Ruth & Sowle P.C. in 2018. Since joining the firm, Mr. Marrero has focused his practice in the area of first party litigation. Mr. Marrero earned his Bachelor of Arts degree from the University of Alabama in Huntsville in 2009, and his Juris Doctorate from the University of Tennessee College of Law in 2013. Just after law school, Mr. Marrero worked in diverse legal fields including municipal law, education law, family law, and mass tort. Mr. Marrero moved to Michigan in 2016. That summer he spent time in Lansing as a special researcher for the State Senate working on the Flint Water Crisis. After passing the Michigan Bar, he gained experience in First Party No-Fault and medical malpractice.